Hudson Water Treatment Plant - Hudson, N.Y.
Construction of a new water treatment facility with other improvements to replace the existing Mt. Ray slow sand filtration system. The new facilty located on the site of the existing treatment plant consists of a packaged water clarifier/filtration system, chemical feed systems, and underground clearwell and backwash surge tank. A new 12,000 square foot building will be constructed to house the new treatment equipment, along with administrative areas. 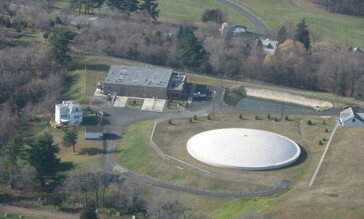 Additional work is to be performed at the Claverack Pump Station and Churchtown Reservoir.